We’re thrilled to announce that Aqua Parcs has appointed our talented team of social media magicians, designer divas and crackin’ copywriters to create and manage a content and communications programme. Having already whipped up a brand-new website for the Milton Keynes based inflatable water adventure course business – which you can view here – it’s full steam ahead for this exciting partnership! 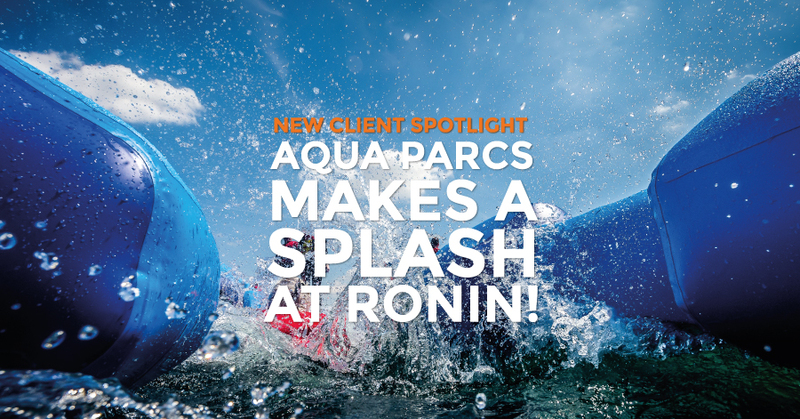 Aqua Parcs is the brainchild of two entrepreneurial old school friends, Kieron and Joe, and was born out of a desire to escape the rat race and venture into the great outdoors. Nestled towards the outskirts of Milton Keynes, directly on Willen Lake, Aqua Parcs is brimming with fun, frolics and a freakin’ good time as visitors navigate a 120-metre long floating obstacle course, with over 30 obstacles to conquer. With the re-vamped website already forming a crucial part of the marketing strategy, we will be working closely with Aqua Parcs to craft a tailored programme of activity, including social media, blogs and PR to drive traffic to the website, raising Aqua Parcs’ profile, increasing bookings and taking the competition head on! If you’d like to say hello to our newest client, we are on social media. Find us on: Facebook, Twitter, LinkedIn & Instagram! Click here to find out more about Aqua Parcs, and to book a day filled with adventure.